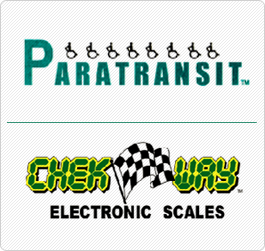 Q’STRAINT is the world’s leading manufacturer of wheelchair tie downs and occupant restraint systems. These products are the only ones which were designed from scratch for the safety of wheelchair seated passengers in vehicles of all types. The product range consists of various combinations of floor mounted belts in combination with lap seat belts and/or lap/sash seat belts. The totally unique QRT Retractor system is the only one of its kind in the world which automatically adjusts and locks and then fully retracts when released from the wheelchair. A variety of unique floor attachments from the original simple floor pocket through different types of floor tracking to the unique Slide-N-Click floor plate are all available for both Commercial and Consumer application. The new electric tie-down model QLK-150 is another simple but effective restraint system for occupied or unoccupied wheelchairs. To view the full range of these excellent products please log onto the website or view our Q’straint Catalogue or contact us at TRAMANCO.